The rugged nature of the Maine coastline and of many of its islands is the result of the action of retreating glaciers back during the last ice age. The craft beer scene in Maine has grown in leaps and bounds in recent years with many new breweries and tasting rooms popping up all over the state. 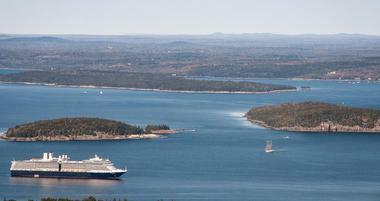 Plan a weekend getaway to Bar Harbor, a beautiful town located on Maine's Mount Desert Island. 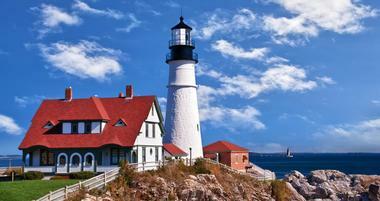 Boasting natural beauty, culture, history, and an array of attractions and activities, New England promises to delight. 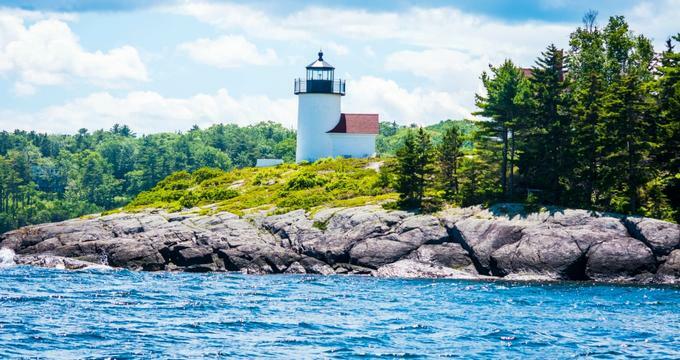 Explore Maine's most beautiful lighthouses, including the scenic Portland Head Light, Bass Harbor Light and West Quoddy Head Light. Provincetown, Massachusetts is a year-round vacation destination and is especially popular during the summer months. Take a magnificent tour of the bay aboard a gorgeous sailboat and see Provincetown from the sea before sailing outwards to go whale watching. For a unique tour so popular that even the Kennedy’s went on one, join Art’s Dune Tours and witness magnificent scenes of nature along miles and miles of sand. Arguably the most popular beach in Provincetown, the Herring Cove Beach, is perfect for leisurely swimming, whale watching and spotting sunbathing seals. On the other hand, whale watching is also great at the Race Point Beach & Lighthouse, a historic lighthouse built in 1816 along the Cape Cod National Seashore. Climb to the top of the 28-foot Long Point Lighthouse to enjoy a stunning view of the seashore or discover the flora and fauna thriving at Beech Forest. To get some exercise in, take a ride on a bicycle or go for an easy walk along the 5.25 miles of Cape Cod Provinceland Trails. Shopping for souvenirs, clothes, art and more is best at Commercial Street, one of the best shopping streets in town. Of course, visiting some local favorite establishments should not be missed as art shacks and a museum can be explored at the MacMillan Pier. Find more things to do in Provincetown, New England. More weekend getaways in New England - Things to Do in New England: from Boston and from New York. There’s always a lovely and memorable vacation to be had at the idyllic coastal city of Portsmouth. Dive into nature at the ten-acre Prescott Park and visit the three boardwalk piers, public boat docks and vast lawns while there. Unique tours can be enjoyed through the Seacoast Helicopters which take guests high above the city in a 90-minute chopper tour of the East Coast’s breathtaking landscape. Meanwhile, visit the island said to be the honeymoon site of the notorious pirate, Blackbeard, and cruise around other remote and rustic islands with the Isles of Shoals. Bookworms can indulge their passions at the Portsmouth Anthanaeum, a non-profit library, museum and gallery that still uses the early system of libraries. Dive into a piece of the US’s Naval history at USS Albacore, a submarine that was made to move with innovative agility during the second world war. 40 historical buildings from the 17th - 19th centuries can be explored at the outdoor Strawbery Banke Museum. Explore the home of Revolutionary War hero and three-term New Hampshire governor John Langdon and view some of the home’s original pieces at the on-site museum of the Governor John Langdon House. Be sure to see the Moffat-Ladd House and Garden, a 1763 mansion-turned-museum where history and nature come together. 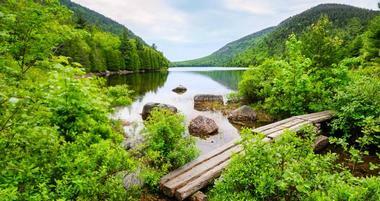 Spend a fun and relaxing vacation in New Hampshire’s largest city, Manchester. Peruse American and European Art at the Currier Museum of Art and make sure to admire their permanent collection, which features works by artists like Matisse, Monet, Picasso, O’Keeffe, Calder and more. To be immersed in the history and culture of Manchester along with the 11,000 year history of Amoskead Falls, visit the Millyard Museum. Head to Blondin Road at Camp Carpenter to visit the Scouting Museum and Library, a museum that features one of the world’s best collections of scouting related artifacts. Meanwhile, at the SEE Science Center, visitors of all ages can learn about sound, light, force and electricity or visit interactive exhibits like the Hybrid House, the LEGO Millyard Project or the Chemistry Lab. Spend some leisure time taking a pottery class or learning how to make stained glass at the Studio 550 Art Center. At the Northeast Delta Dental Stadium, baseball fans can catch an exciting game at the home of the New Hampshire Fisher Cats Minor League Baseball Team or even catch a concert or other musical performances. Massabesic Lake, which spans over 2,560 acres, is a top destination in the city for water activities like kayaking, fishing or sailing while history is abound at the Zimmerman House, the preserved and former home of Dr. Isadore and Lucille Zimmerman. Make your way to Hartford, Connecticut’s gorgeous capital, for an enjoyable family vacation. Begin your exploration of Hartford at the Wadsworth Atheneum Museum of Art and view a lovely collection of American and French impressionist paintings along with works by contemporary artists and modernist works of art. Tourists can visit the home of the State Library and the Supreme Court while learning about Connecticut’s heritage at the Museum of Connecticut History. Make sure to admire the marble and granite construction of the Connecticut State Capitol, the home of the State Senate, House of Representatives, General Assembly and the Governor’s Office, while you’re at it. Keep reading for more things to do in New England. Get immersed in a nine-story scientific wonderland and view various facets of the space like the Exploring Space gallery at the Connecticut Science Center. For literature history, visit the Mark Twain House and Museum to see the home and working space of the famed author from 1874 to 1891. This home is where many of Mark Twain’s famous books were written such as The Adventures of Tom Sawyer and The Adventures of Huckleberry Finn. To enjoy the landscape of Hartford, see the oldest municipal rose garden in the United States and its 15,000 rose bushes at the famous Elizabeth Park. At Bushnell Park, on the other hand, visitors can enjoy a nice walk, take a ride on a carousel, see the Corning Fountain or visit the Soldiers and Sailors Memorial Arch. Fun for the entire family and visitors of all ages and interests is just waiting to be had at the lovely city of Springfield, Massachusetts. Let the magic of Dr. Seuss’s books come to life at the Dr. Seuss National Memorial Sculpture Garden and view huge sculptures of beloved characters like Thing One and Thing Two, Thidwick the Big-Hearted Moose and Horton the Elephant with Sam-I-Am. On the other hand, the city’s turbulent but colorful history is preserved at the Springfield Armory National Historic Site, a crucial arsenal dating back to the Revolutionary War under the command of General George Washington. Springfield is also home to the Titanic Museum and its historical society collection which features artifacts related to the ship and its historic 1912 voyage. A large model of the ship can also be viewed at the entrance of the museum. Other museums to visit in the city include the Michele and Donald D’Amour Museum of Fine Arts where an impressive collection of art, including paintings by celebrated artists such as Monet, Pissarro, O’Keeffe and more, can be admired. Meanwhile, at the Springfield Science Museum, children can explore and let their curiosity take the lead at various interactive exhibits. Nature lovers can also head to Forest Park to explore nineteen parks spread across 735 acres of vibrant and lush greenland at the banks of the Connecticut River. The park is also home to The Zoo at Forest Park, which features over 150 domestic and exotic species of animals. Keep reading for more things to do in New England. Set off on a quick weekend getaway at the charming town of Pawtucket in the gorgeous state of Rhode Island. Visitors to Pawtucket can see the first cotton spinning factory in the country at the Slater Mill Museum. One-artist shows can be enjoyed in a historic and restored mill at the Candita Clayton Gallery while art enthusiasts can participate in art demonstrations or watercolor classes at the Rhode Island Watercolor Society. Visitors to the PeaceLove Studios, a non-profit organization, can learn all about how art can help people cope with mental illnesses or purchases items by local artists to help support the studio. Antique lovers can shop for the best deals and bargains at the 20,000 square foot facility of the Rhode Island Antiques Mall, which is home to over 200 dealers from all over the New England area. Beer aficionados, on the other hand, can learn about the production of American Golden Ale from start to finish and sample incredible brews at the Foolproof Brewing Company. Die-hard baseball fanatics can visit the site of the longest baseball game in the sport’s professional history at the McCoy Stadium, where the Pawtucket Red Sox battled the Rochester Red Wings in 1981 for 20 innings. Don’t forget to stop by the oldest and largest park in town, the Slater Memorial Park. Boasting its own fair share of National Historic Sites, Brattleboro is home to the Creamery Covered Bridge, the only surviving bridge of its kind and built in 1879. At the Brattleboro History Center, see historical and cultural artifacts collected by the Brattleboro Historical Society such as vintage toys, model railroads, old newspaper clippings and more. For those seeking to travel back in time, experience rural life in Vermont complete with petting goats, playing with chicks, running through corn fields and feeding sheep at the Retreat Farm. For fans of Tasha Tudor, the famous American author and illustrator of beloved children’s books, artifacts related to her work and other such memorabilia can be viewed at the Tasha Tudor Museum. Works of international and regional artists such as Andy Warhol and Wolf Kahn, on the other hand, can be admired at the Brattleboro Museum and Art Center. The adventurous at heart can head to the Retreat Trails at the Green Mountain National Forest to set off on over nine miles of trails to discover unusual sites like the Old Cemetery and Retreat Tower. A gorgeous locale and a tourist hotspot since the early 19th century, visitors are bound to have a blast exploring the beautiful town of Bar Harbor, Maine. With no shortage of amazing sights and sounds, hop from one island to another by way of kayak at Frenchman Bay. Tourists are also welcome to explore the gorgeous terrain Mount Desert Island, one of the largest islands of the coast of Maine, and to walk across the ancestral lands of the Abenaki Indians. An idyllic and breathtaking national treasure, Acadia National Park is another great destination and offers a range of outdoor activities like climbing, hiking, bird watching and more. Of course, there’s no better way to truly discover the wonders of Acadia National Park and Mount Desert Island than to meander the Ocean Trail. For those who would rather take things slow, start your trip at Bar Harbor with an slow and enjoyable early morning stroll along Shore Path while enjoying the relaxing view of the water. While walking is certainly a great way to explore Bar Harbor, sometime’s it’s equally wonderful to just sit back and relax while on Oli’s Trolley, an old-fashioned trolley tour. Better yet, set off on a boat to take a sunset tour or go whale watching with the Bar Harbor Whale Watch Company. Head to Burlington to enjoy an exciting vacation in a lively and vibrant city situated along the shores of Vermont’s Lake Champlain. For those heading to Burlington for a quick weekend getaway, one of the best ways to explore the city is through a tour. Let the farm-to-table philosophy of the city’s cuisine take hold while hearing fantastic stories about Burlington’s history at the Burlington Edible History Tour. 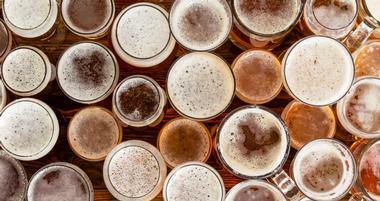 Beer fanatics can share their love for craft beers with other like-minded individuals at the Burlington Brews Tours where three different tours of craft breweries in the city are offered. Shop for various kinds of goods or mingle with locals at the Church Street Marketplace where an exciting mix of historic buildings and fantastic shops come together. Visit the Ethan Allen Homestead to gain a closer look at the spirit of Vermont’s most popular folk hero and see artifacts from a turbulent time in history. At the Fleming Museum of Art, visitors can gain practical knowledge and view over 25,000 artifacts from all over the world dating back to the dawn of the civilization. For some fun under the sun, enjoy a dip in the water, stand-up paddleboard or canoe around Lake Chaplain’s North Beach Park. Indulge your inner curiosity, thirst for knowledge and more at one of New England’s top five largest cities, Bridgeport, Connecticut. Have fun with the entire family at The Discovery Museum and Planetarium, where a plethora of interactive and educational displays as well as activity based galleries come to life and stimulate young minds. For families who enjoy more physical activities, The Adventure Park at the Discovery Museum allows people of all ages to let their inner Tarzan out with over 11 treetop trails, 200 platforms throughout the forest, a zip line and various climbing obstacles. For a taste of history, head to the Barnum Museum to learn all about the historical significance of Bridgeport along with life story and history of P.T. Barnum, the founder of Barnum & Bailey Circus. Featuring a glorious and notable collection of art, the Housatonic Museum of Art will charm visitors with interesting and eye-catching pieces from the 18th to the 20th centuries. Make sure to stop by the Beardsley Zoo, the only zoo in the entire state of Connecticut, and visit it’s five different sections to see majestic animals like leopards and tigers. Of course, the Captain’s Cove Seaport is also a must-see as visitors can meander around specialty fish fry restaurants, go shopping or grab a drink while admiring over 350 boats. A relaxing vacation awaits at the beautiful and idyllic locale of Kennebunkport, Maine. This region of Maine is home to some of the finest beaches in New England with sun and surf in heavy supply. Among the top beaches to visit, the Goose Rocks Beach and the Colony Beach are blessed with beautiful stretches of sand and refreshing waters for an afternoon of excitement and fun. 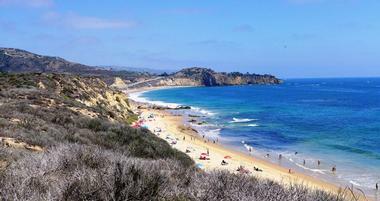 Be sure to stop by Mother’s, Gooch’s and Middle Beach as well. To view the summer compound of the Bush family, often referred to as the “Summer White House”, head to Walker’s Point and enjoy the picturesque view of the compound. Tourists should head to White Columns and see the First Families Museum where the former home of the Nott Family can be discovered and artifacts from Kennebunkport’s history as well as Bush Family memorabilia can be viewed. For a piece of World War II history, be sure to stop by Anchor to Windward with features an anchor from a former World War ship and represents the valiant efforts of a ship’s crew to survive when all hope is seemingly lost. To a enjoy a peaceful afternoon surrounded by gorgeous greenery and manicured gardens, head to Ganny’s Garden, which was built in honor of Ganny Bush herself. Set off on the adventure of a lifetime at the stunning destination of Camden, the jewel of the Maine Coast. Head to Camden’s Penobscot Bay for a range of sailing activities or to take a scenic boat right around the coast. For the visitors looking for more of an adventure, join a fishing vessel and set off in search of fresh seafood and lobster. To enjoy premier shopping and a trip to Camden’s best antique shops, head to the city’s downtown area, which, coincidentally is also home to the stunning waterfront Camden Public Library. Explore over 30 miles of hiking and walking trails at the 5,700 acre Camden Hill State Park or climb to the top of Mt. Battle and witness a once-in-a-lifetime sunset or sunrise view. Notable beaches in Camden include a fresh water beach on Megunticook Lake called Barret’s Cove and the small but stunning Laite Beach, which offers great views of Camden Harbor. Discover lighthouses of Camden which include the Curtis Island, a lighthouse still used by the US Coast Guard and the famous Vinalhaven Lighthouse among others. For an incredible adventure and view, head to Maiden’s Cliff, one of the most famous hiking trails in Camdem, and trek the 800-foot rock cliff on Maine’s countryside. A hidden gem of Maine’s mid-coast region, Rockport is the perfect destination for a relaxing vacation. Set sail on windjammers, yachts and kinds of boats along Rockport’s idyllic coves to enjoy Maine’s stunning landscape from sunrise to sunset. Those looking for a little more physical activity can rent kayaks to explore the gentle waters around Rockport. Be sure sail or paddle past the privately owned Indian Island Lighthouse, which was built in 1875. Visitors can also take a boat trip to Thatcher Island and meander around the Rockport’s Twin Lights, a key player the effort to preserve historic lighthouses. Enjoy a view of the majestic granite rocks of Halibut Point State Park or have a picnic by the old quarry after navigating one of many walking trails the park has to offer. Other beautiful locations to enjoy a picnics include the Rockport Marine Park and the Children’s Chapel, which boasts spacious lawns and an utterly relaxing atmosphere. Get up close and personal with Belted Galloway cows, fondly referred as oreo cookie cows due to their black and white stripes, at the 136 acre Aldermere Farm. Be sure to catch a concert or festival at the Bay Chamber Concerts, which hosts numerous events throughout the year. Just sixteen miles off the coast of Cape Cod, Massachusetts lies the small but action packed destination of Nantucket. Stretch out on the fine sand of Nantucket’s beaches for a fun and sun-filled day. To discover what the coast has to offer, set sail and tour the Nantucket Sound while learning about the island’s rich maritime history at the Endeavor Sailing Excursions. Fishing enthusiasts, on the other hand, can hit the open water with fishing rods in tow at Fishing Nantucket, which offers fishing trips with Striped Bass as the main prize. View the dramatic exhibits at the 80 year old Whaling Museum, including a skeleton of a sperm whale. At the Nantucket Shipwreck and Lifesaving Museum, visitors can learn about the men who risked their lives to save shipwrecked mariners. For more experiences centered around Nantucket’s history, head to the Sankaty Head Light and enjoy the beautiful landscapes from the historic lighthouse’s windy peak. Don’t forget to visit the Old Mill, the only smock mill still standing on Nantucket, which was built in the 1700’s.